The McKinsey Global Institute estimates that about 50% of today's tasks could be automated. As we know from the technological advances permeating the L&D industry, learning is also in need of more automated processes to really stick. 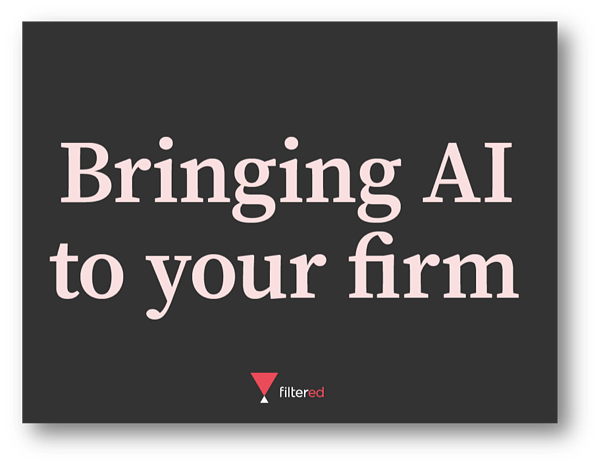 With more and more L&D professionals wanting to retool themselves to prepare for the fourth industrial revolution, we've created the ultimate guide to bring AI to your firm. Forget the buzzword bingo and fangled fads, intelligent learning software is here. You'll learn how it works, why it works, and how to implement it without destroying your budget. Fill in the adjacent form to download your copy.